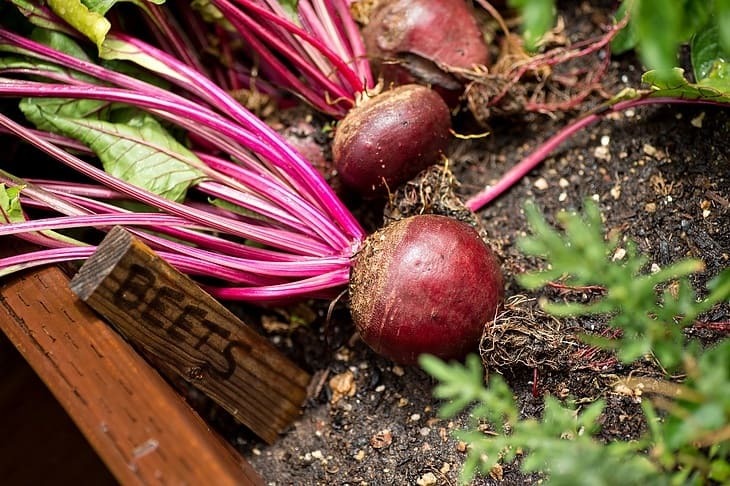 →The Dirt On Beets: What Do Beets Taste Like? What do beets taste like? 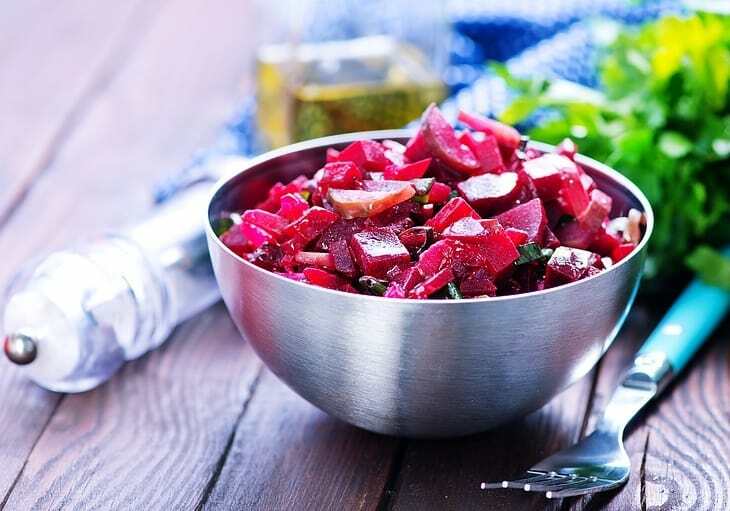 Most people have an unnatural fear of beets because they are rumored to taste like dirt, and some chefs may choose to never use the ingredient if it wasn't for their incredible health benefits. This much-avoided root gets a bad rap, and the truth is that the true taste of a beet is going to depend on how it's prepared. It's understandable to be concerned about the taste of beets, especially if you've never tried one before. With the right knowledge, however, you can make beets work in any dish. 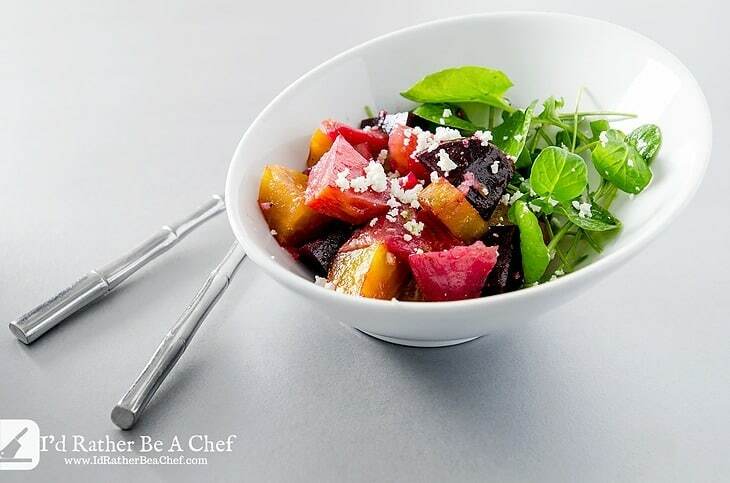 The beet has been used throughout history as a garnish, natural food coloring and in salads. They are one of the most undervalued vegetables in history. The University of Wisconsin-Madison notes that beets don't taste like dirt at all. 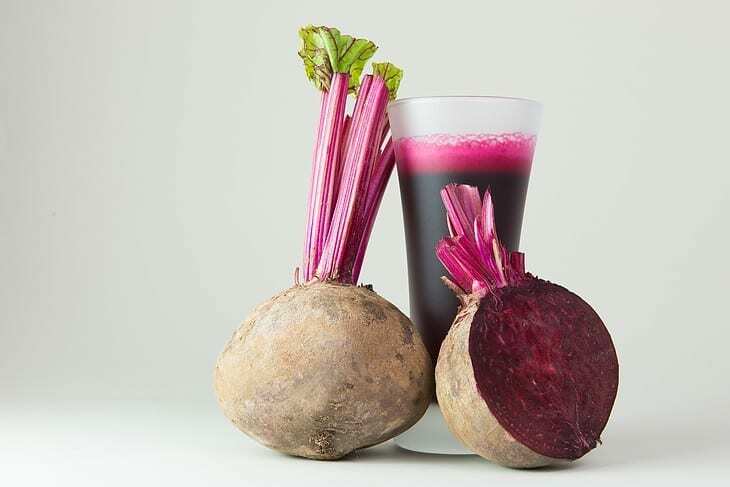 Technically, it's not the beet that tastes like dirt, but few people are going to make that distinction because the organic compound is intimately intertwined with the beet. The humble beet shares this quality with other vegetables too, including spinach, lettuce and mushrooms. What you actually taste is not the soil or the vegetable but an organic compound known as geosmin. This compound can't simply be washed away, and the compound tends to give off a smell that is reminiscent of fresh earth after a rainstorm. Beets are a hard sell to a lot of people, especially when you purchase them raw from the grocery store. They are unappealing to look at; to the untrained eye, it looks like the beet has gone bad. With long, stringy white tendrils coming off the sides of the beet and the brownish color that reinforces the belief you're about to eat dirt, many people have trouble biting down. Despite the poor first impression, you're left with a beautiful, glossy and colorful garnish when you cut beets open and peel back that ugly outer skin. Using a beet peeler, you can remove the outer layer quite easily to use the beet as a garnish. Watch the video below to learn more about it. While some people hate the smell of beets because of the geosmin that gives off an unpleasant smell to some noses, others absolutely love it. Still, you can't judge a vegetable by its aroma, and the actual flavor of a beet is nothing like dirt. If you're like most Americans, you probably had your first experience with beets as a canned product. If this is where your experience begins and ends, then you're missing out on the wonders of beets. 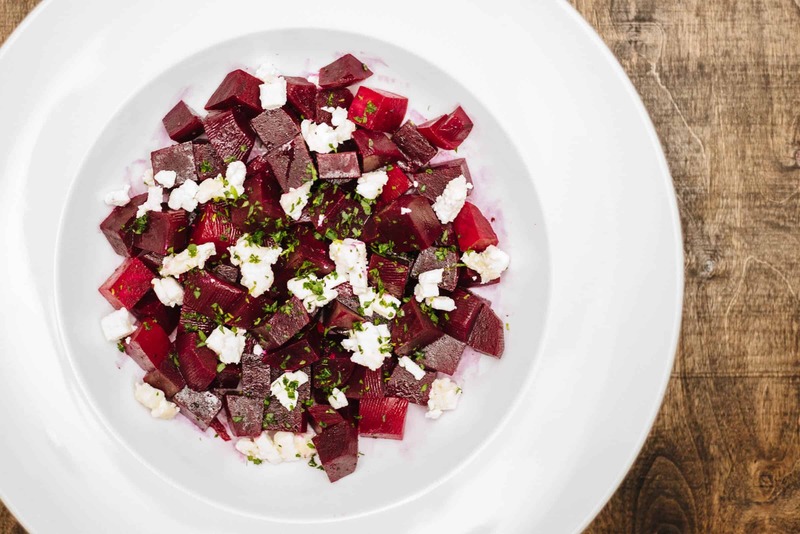 The taste of the geosmin microbes, which make the beet a healthy vegetable, can be easily covered up by blanching the roots or cooking them with olive oil and your preferred herbs. Purchase a peeler that also has a slicer built in so that you can work with your beets more effectively. The first thing you want to do is make sure that you select, clean and prepare your beets for cooking. 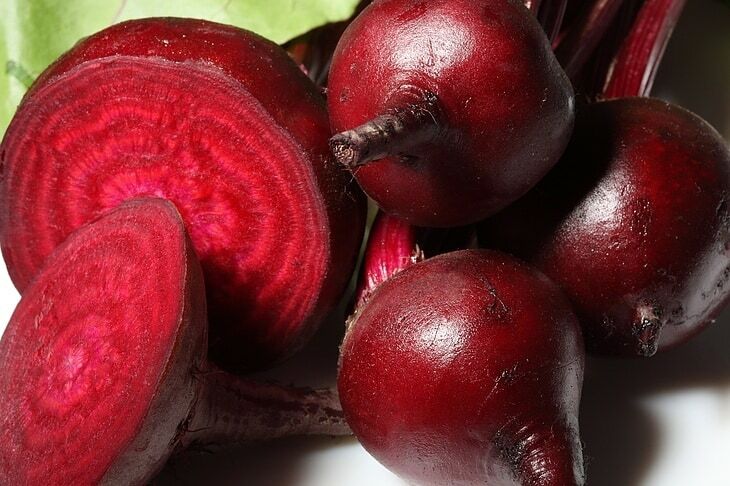 Choose only beets that are firm and avoid beets that have a spongy feel. You should look for beets with dark green, leafy tops. Store your beets in the fridge until ready to cook. With a little creativity, you can find some truly amazing ways to cook beets. The fact is that most food items don't taste incredible until they have been seasoned and properly prepared. Chicken wouldn't taste very good if you just threw it in the microwave and cooked it until it was done. Salmon would be amiss without some lemon and careful preparation as well. Beets are no exception, and the way you prepare them will change the taste. The main methods for cooking beets involve roasting, boiling or steaming. Beets are also perfectly fine when eaten raw. Each method will affect the flavor of the beet in a different way. 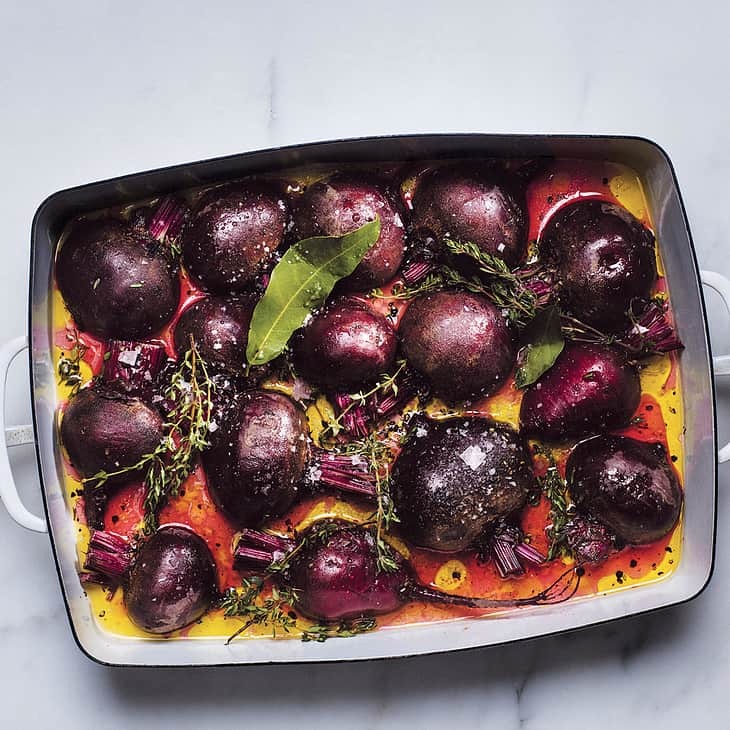 Roasting will provide you with a more concentrated flavor, and it gives the beets a sweeter flavor profile while removing much of the earthy flavor. It also makes the beets more tender and gives them a potato-like texture. Boiling beets is often the fastest and easiest cooking method to use, and you'll get a more subdued flavor that makes the beet ideal for inclusion in meat dishes. Boiling also gives the beet a softer texture and can make it possible to mash the beet for use in smoothies, hummus and cookie dough. You read that right: Mixing beets with some cookie dough gives the cookies a unique color and gives them a bit more punch. Steaming is the fastest way to cook beets, and it's recommended to use a mechanical food steamer for the best results. However, the earthy taste usually remains unless you mix in a bit of coconut oil. Herbs can make the difference in your preparation of beets. Properly seasoned beets can take on a life of their own and impress your guests. When selecting herbs, make sure to select herbs that can help offset the powerful taste of the beets. Basil is a good option because it helps to tone down the flavor of the beet. 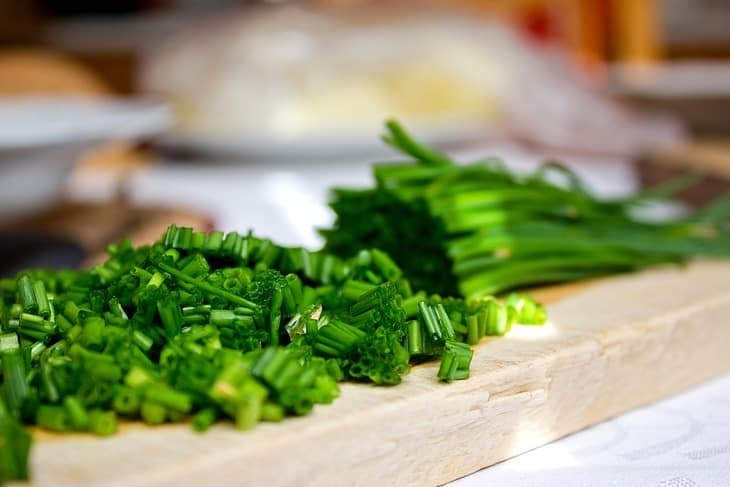 Chives also complement boiled beets well. Cumin, cloves, ginger, allspice and fennel are powerful seasonings that can help to subdue the stronger flavor profile of beets. Thyme and rosemary are good herbs that can be used together. If you do use rosemary and thyme, go light on the salt because the rosemary and thyme both add a bit of saltiness to your dish. For many people, beets taste like soil, but proper preparation can often subdue the earthy flavor. If you're steaming your beets, don't forget to use a mechanical food steamer for the best results. What are your favorite methods for cooking beets? Share your thoughts in the comments or ask any questions you might have.